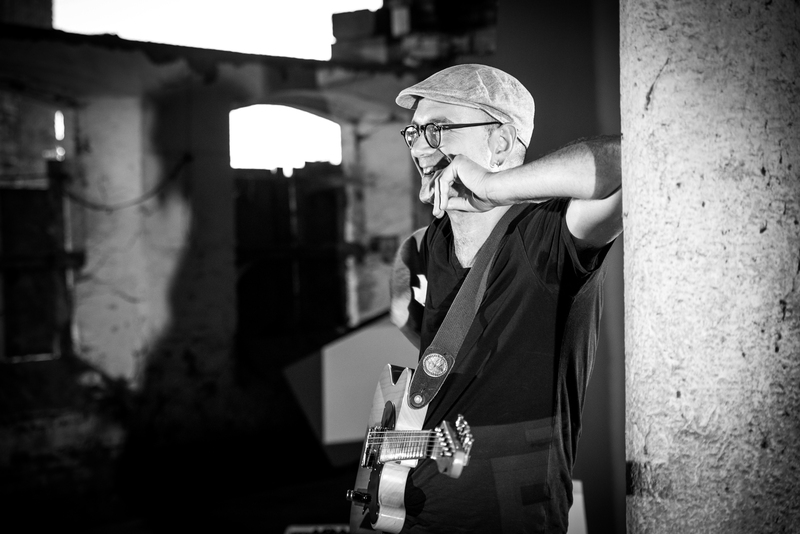 “Simone Massaron is an inventive improviser and highly skilled guitarist, is a unique voice among a new generation of musicians literate in both the improvising traditions of Derek Bailey/Fred Frith and rock/free jazz, working towards a new language of the guitar”. I was born in Milan (Italy) in 1971. I started learning piano with my father Sergio, who was an orchestra conductor. In the first 16 years of my life I played different instruments (piano, guitar, bass, drums) in different local bands, creating a poly-instrumental background that influenced my way of playing and imagining the guitar. At the age of 16 I focused on the guitar and jazz, studying with Massimo Minardi and Roberto Cecchetto and attending masterclasses with Pat Metheny, Bill Frisell and Mick Goodrick. For more than 20 years I’ve been dedicating myself with passion and energy to the guitar teaching. My style on the instrument shows my eclecticism and pleasure in crossing over genres, such as radical improvisation, avant-garde free music, live looping but also pre-war blues and live soundtracks on silent movies. I love the guitar in all its forms. I’ve always experimented directly on the structure of the instrument (I graduated in lutherie), I’ve approached and modified various typologies of instruments, also going through the fretless guitar, and I continue my research day after day. Musicians I had the pleasure to collaborate with are Marc Ribot, Elliott Sharp, Nels Cline, Carla Bozulich, Tiziana Ghiglioni, Jamaaladeen Tacuma, Rob Mazurek, Peter Evans, Gianluca Petrella, Steve Piccolo, Gak Sato, Leena Conquest, Xabier Iriondo, Giovanni Maier, Tiziano Tononi, Daniele Cavallanti, Jenny Scheinman, Zeno de Rossi, Massimo Pupillo, Giulio Corini, Piero Bittolo Bon, Craig Green, Scott Amendola and many others.